“Indian Fusion” sounds intriguing so on a recent Tuesday evening we gave this new St. Clair bar and grill a try. 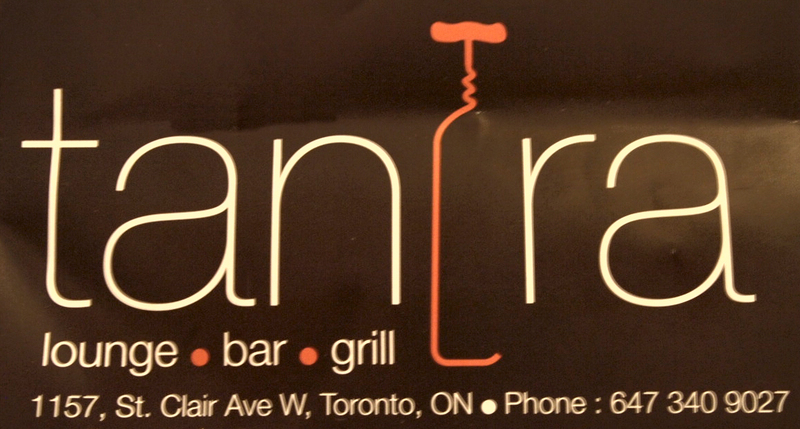 The Tantra Lounge is a family business opened by a brother and sister and their spouses, new Canadians in this country for only a couple years. They are earnestly gracious and welcoming. 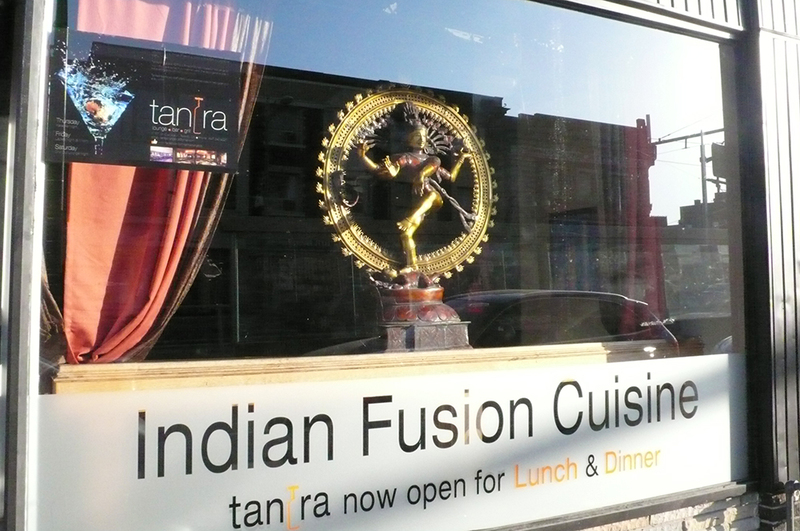 The menu is extremely eclectic but the emphasis is Indian, as is the decor. We wanted a very light dinner so we ordered just three appetizers: Fish Rolls (fish wrapped in paratha with coriander chutney), Green Mango Chicken (boneless pieces sauced with green mango on a sizzling iron platter with chilies and sliced onion) and Shami Kebob (ground lamb marinated in herbs). A Somersby cider for him, a mango margarita for me. If we’d been ravenous we could have added main courses such as Butter Chicken, pasta or a hamburger. The Shami Kebob was very finely ground lamb with a texture like paté. I ordered a paratha and spread it on that – delicious. The fish was very tasty and a bargain at $5. The piquant green mango added a lively tartness to the chicken. The Lounge offers sports and World Cup viewing on HDTVs and projector screens, sheesha, karaoke, art evenings… entertainment as eclectic as their menu. None of those would draw us back. But for a drink and light meal it’s an interesting new option in the neighbourhood.